Lactose intolerance is referred to as inability to digest food containing milk and milk products. Lactose is made up of two different sugars—glucose and gelatos. Lactose needs to be split into glucose and gelatos in order to get absorbed in the body. The enzyme that splits glucose and gelatos is known as lactase. This enzyme is produced by the cell lining of the small intestine. The deficiency of lactase enzyme results in lactose intolerance. Lactose intolerance should not be confused with allergy from milk. Milk allergy is because of the problems related with the immune system of the body. Why Does Baby Vomit At Night? What To Do When Toddler Vomits? How To Treat Diarrhea In Pregnancy? How Does Diarrhea Affect Pregnancy? Decreased secretion or absence of lactase is the main cause of toddler lactose intolerance. There are many symptoms of lactose intolerance in toddlers. Some common symptoms are nausea, cramps, and diarrhea .The symptoms of lactose intolerance can be seen between 30 minutes to 2 hours after eating or drinking food containing lactose. Lactase intolerance may occur due to the inborn absence of lactase due to mutation in the gene which produces lactase in the body. The occurrence of this kind of deficiency is found very rarely. The symptoms of inborn lactase deficiency can be seen soon after the birth of your child. Lactose intolerance in toddlers may occur due to secondary lactase deficiency. In this case, the lining of the small intestine along with lactase is destroyed due to some disease. The most common cause of lactose deficiency in toddlers is a decrease in amount of lactase with growth. This may happen due to hereditary reasons. Although, it is no t possible to change the body’s ability to produce lactase, the symptoms of lactose intolerance in toddlers can be managed with dietary changes. Most children with lactose intolerance can digest some amount of lactose in their diet. Introducing small amounts of milk products gradually, can help some kids adapt to them. Lactose free as well as lactose reduced milk and milk products are available in the market. Lactose free milk is identical to regular milk with the lactase enzyme added. Adding a few drops of the liquid enzyme when feeding milk or milk products may make it more tolerable for your toddler with lactose intolerance. You need to strictly follow your pediatrician’s advice and the nutrition plan recommended by him so as to keep your toddler free from lactose intolerance. 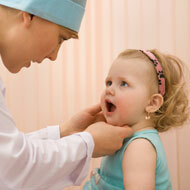 Before changing any food products, do seek your pediatrician’s advice.